These Chinese matrix turquoise gemstone cabochons with a domed top and flat back have a beautiful, slightly greenish-turquoise hue and often have wonderful spider web like markings, making each stone unique. 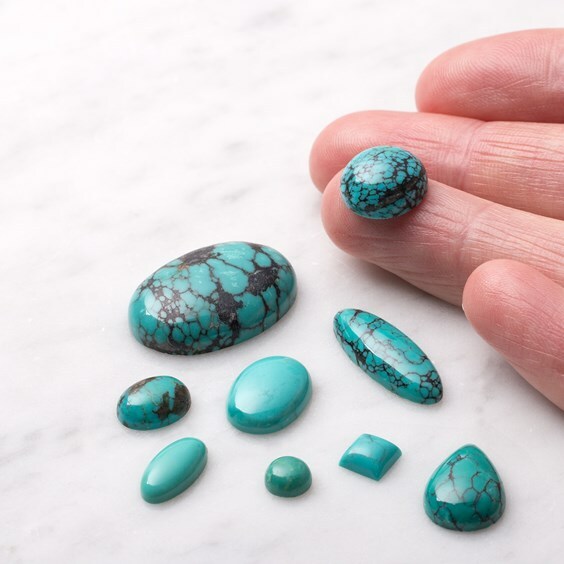 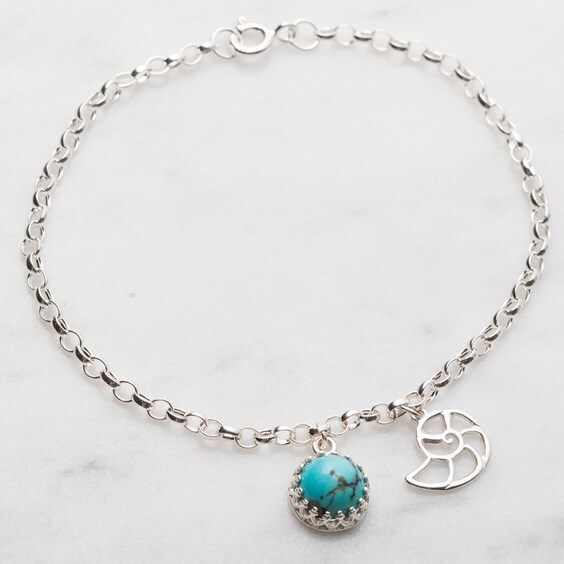 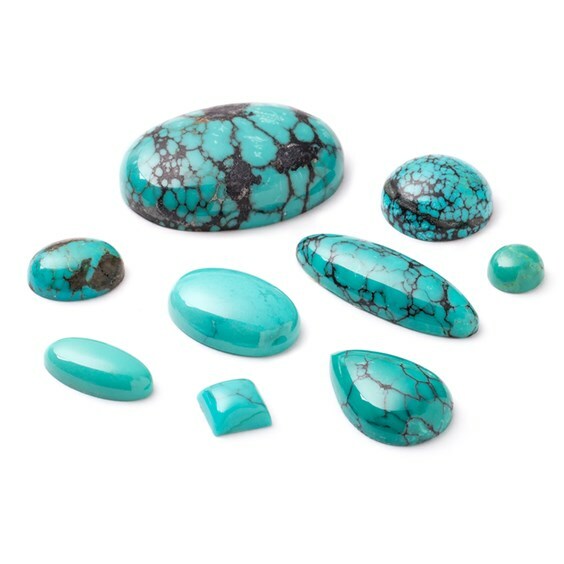 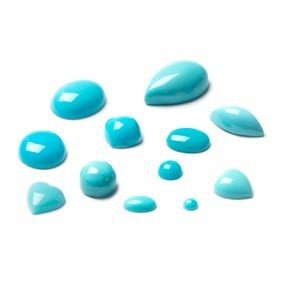 Like 97% of all turquoise sold today this turquoise is stabilized and has a hardness of 6 on the Mohs scale. 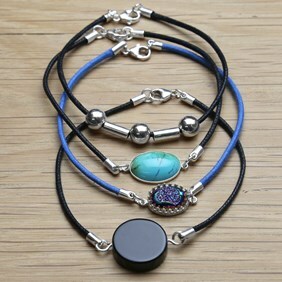 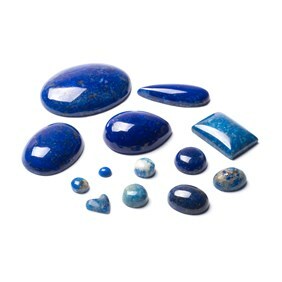 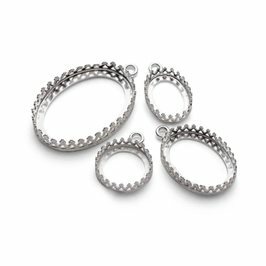 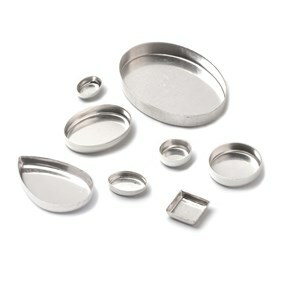 Please note that our current stock of the 18x13mm oval cabochons have very little matrix in them. 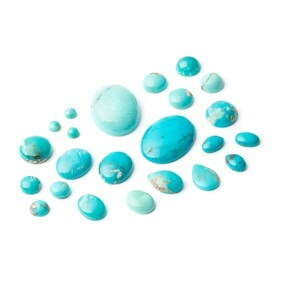 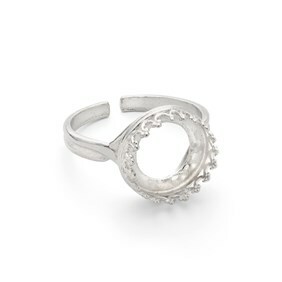 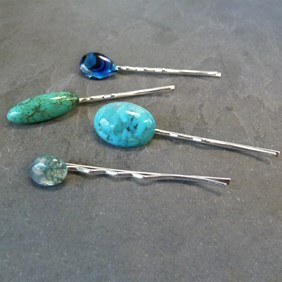 For more information on Turquoise please click here.